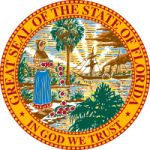 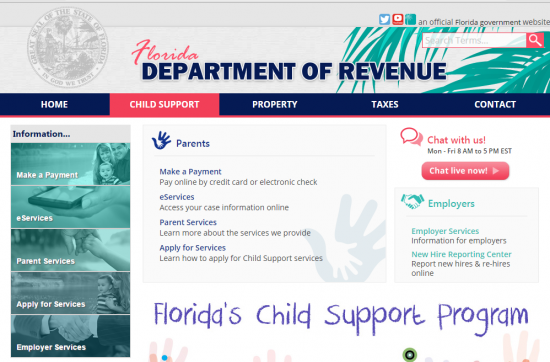 The State of Florida has online assistance for parents who want to make child support payments or are receiving child support payments. 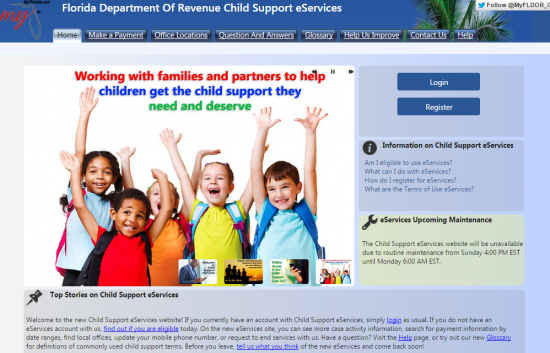 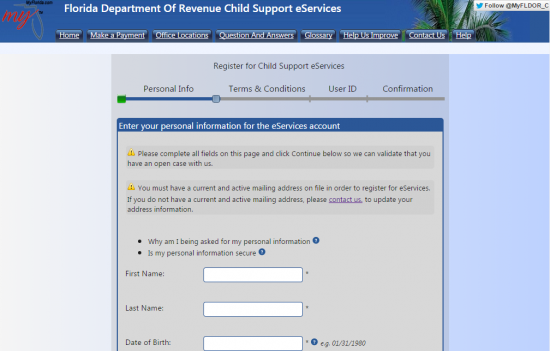 The eServices site allows you to get updates on your case, see payments made and see your child support order. 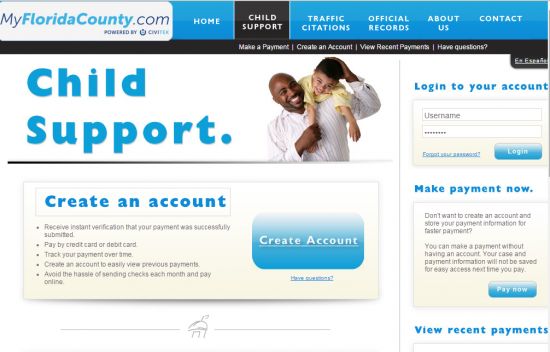 The myFloridacounty website allows you to make payments online. 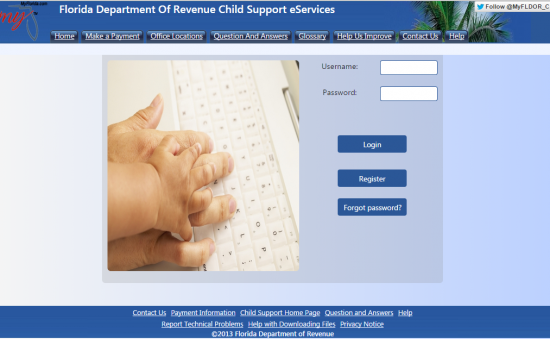 Step 2: Click on “Login” and enter your user name and password. 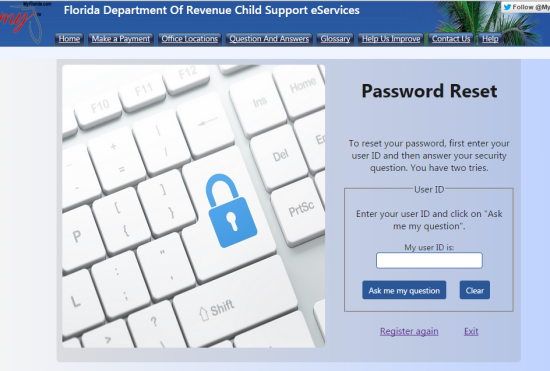 If you forgot your password, click on “forgot password” and you will be brought to a screen that will allow you to enter your user name and answer a previously set security question. 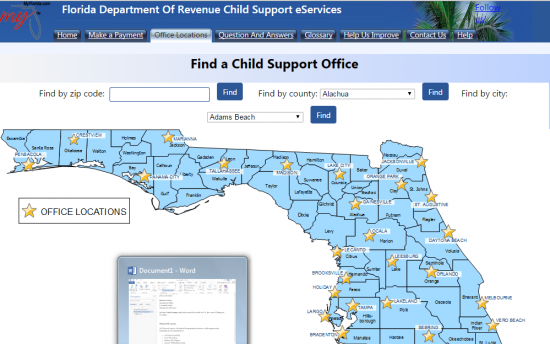 In Florida, in order to apply for child support, you must go to one of the local child support offices to obtain an application or you can call 1-800-622-5437 to have an application mailed to you.